The legendary British golfer from the Isle of Jersey was commissioned to design the golf course at Barton-on-Sea on two occasions. 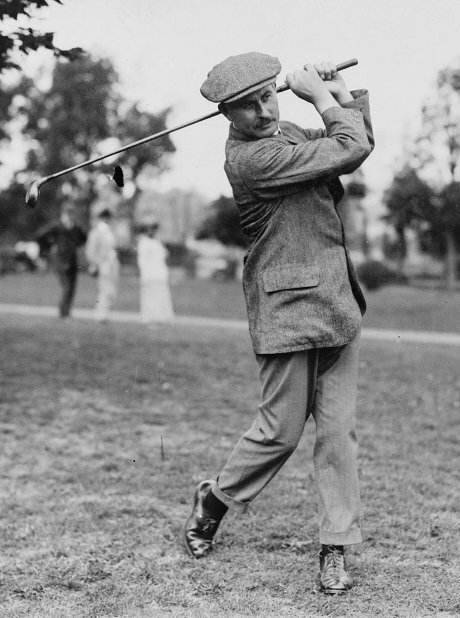 In 1909, he was hired to expand a 9 hole golf course at the Barton Court Estate. This course remained in use only until 1922 because the site of the course was needed to ensure housing to the growing Barton-on-Sea community. However, soon after the original Varton’s 18 hole course was abandoned, the owner of the Grand Marine Hotel decided to build a new course that partly occupied the original site. Once again, Varton was called in to help design the layout of a new 9 hole course. This course remained in use until 1932 when the new owner of the Grand Marine Hotel decided to expand the existing 9 hole layout into an 18 hole golf course. One of the most famous English golf course architects and a Founding Member of the Royal & Ancient Rules of Golf Committee was involved to certain degree in design of more than 300 golf courses throughout Europe as well as in the Americas, Australia, Africa and Asia, and designed more than 100 courses on his own. And one of his projects was also the golf course at Barton-on-Sea. Colt was commissioned by the Grand Marine Hotel owner to design an 18 hole course which opened to golfers in 1932 and was played on for more than a half of a century. In 1992, Colt’s 18 hole layout was extended into a 27 hole layout but most of his 18 holes were preserved within the new course design. The today’s 27 hole golf course at Barton-on-Sea was designed by the renowned J. Hamilton Stutt, one of the founders of the British Association of Golf Course Architects and the Honorary Member of the European Institute of Golf Course Architects. He was commissioned by the Barton-on-Sea Golf Club in the early 1990s to re-design the 1930s Colt’s 18 hole course. The new 27 hole course opened in 1992 but Stutt decided to keep much of the original Colt’s layout. As a result, the current Barton-on-Sea golf course is a unique blend of designs by two outstanding architects – Harry Colt and J. Hamilton Stutt.